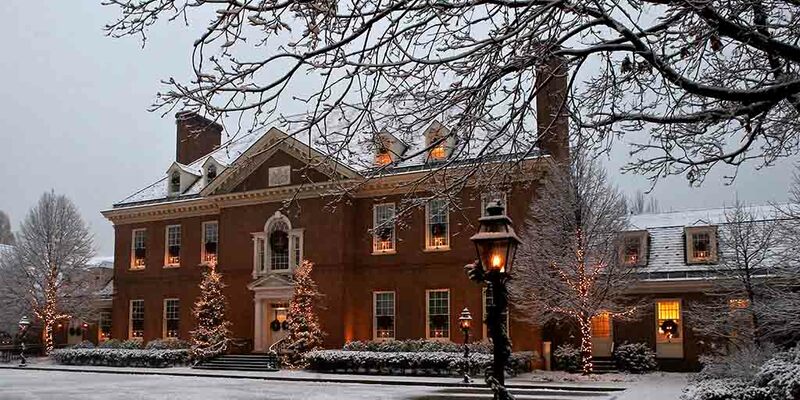 Harrisburg, PA – First Lady Frances Wolf today announced that the Pennsylvania Governor’s Residence has officially opened to the public for the 2017 Holiday Season. Events include self-guided tours, as well as the Holiday Open House on December 10. Click here to view a preview of this year’s decorations. Grand Hall: Designed and decorated by the Residence Staff, with ornaments hand made by students at Temple University Tyler School of the Art’s Glass Guild. Mellon Parlor: Designed and decorated by Jeffrey’s Flowers of Mechanicsburg. Grand Hall Reception Room: Designed and decorated by reCovered Furniture and Decorative Services. Family Dining Room: Designed and decorated by Blooms by Vickrey of Camp Hill. Erie Room: Designed and decorated by Michael Hoke of York. First Lady’s Office: Designed and decorated by the Residence Staff. Governor’s Office: Designed and decorated by the Governor’s Office of Constituent Services. State Entrance: Designed and decorated by First Lady Frances Wolf and members of the Wolf family. State Reception Room: Ornaments for the trees were made by students from the Warren County School District, while the snowflakes were cut and decorated by children of the Harrisburg School District’s Ben Franklin School and Cougar Academy. During the 2017 Holiday Season, the Governor’s Residence is open for public tours on December 5, 6, 11, 12 and 13 from 12:00 to 2:00 p.m. Holiday tours are self-guided and reservations are not required. The Holiday Open House, hosted by Governor and Mrs. Wolf, will occur on Sunday, December 10 from 1:00 to 6:00 p.m. and will feature a special appearance by Santa Claus. For more information on touring the Governor’s Residence, please call the tour line at 717-772-9130.